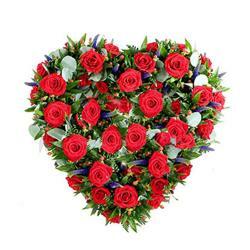 Heart shape arrangement of 200 Red Roses green fillers packing with Red ribbon bow. It is the arrangement that says it, without using words. 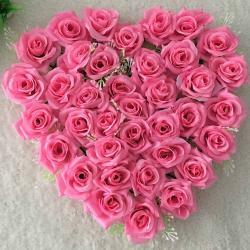 It speaks the language of the heart, the language of love. 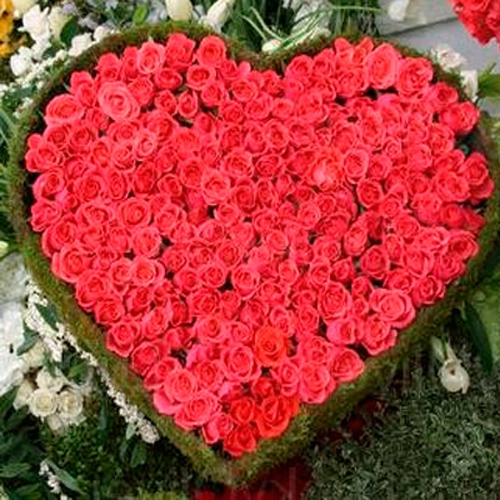 To let someone know that your love is only meant for her, gift a giant heart shape arrangement of 200 Red roses green fillers packing with red ribbon bow. It is most conveying way to show your love and affection towards your special ones and see the blush of happiness on her face. Buy it online for occasions like birthdays, Valentines Day, anniversary, weddings and Miss you, proposed for marriage etc. 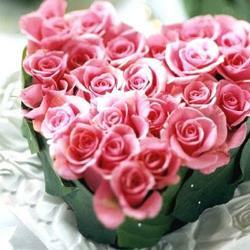 So send this arrangement and let the hearts bloom with Happiness. 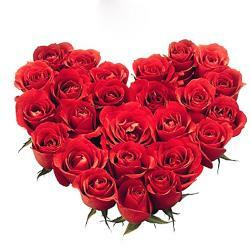 Product Details : Heart shape arrangement of 200 Red Roses green fillers packing with red ribbon bow.